Sale period 19th December to 21st December 2016. 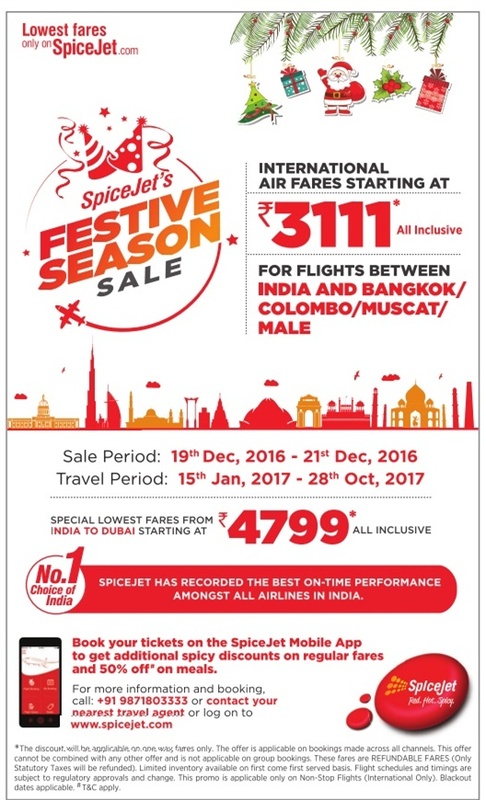 Special Lowest fares from Rs 4799 India to Dubai all inclusive. book your tickets on Spice jet Mobile APp to get additional spicy discounts on regular fares and 50% off on meals.